SALE! 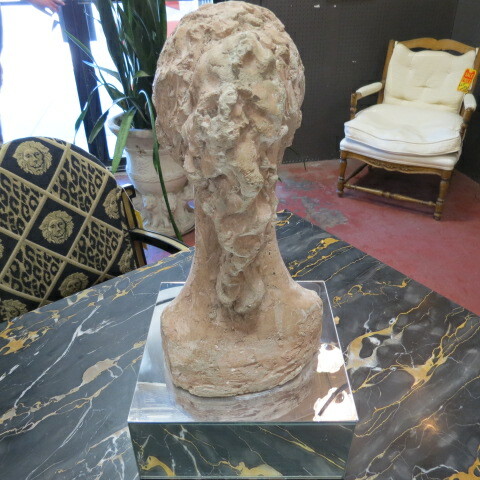 Now $175, originally $195. 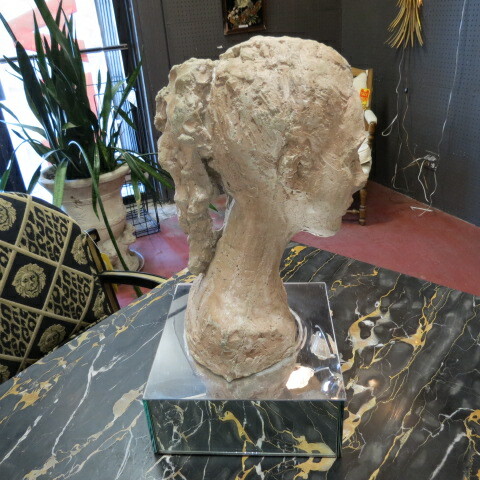 Vintage artist clay bust of woman on stand. 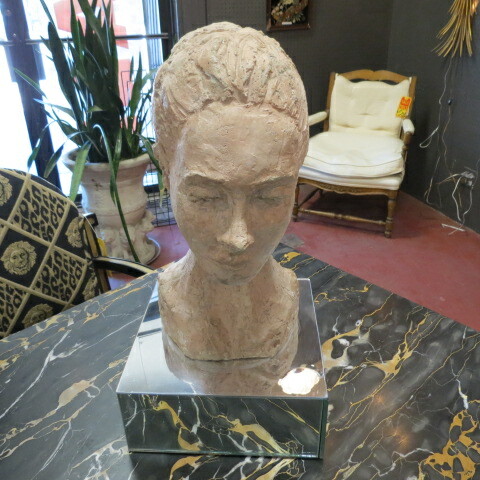 very well done bust of woman with a serene expression on mirrored pedestal. 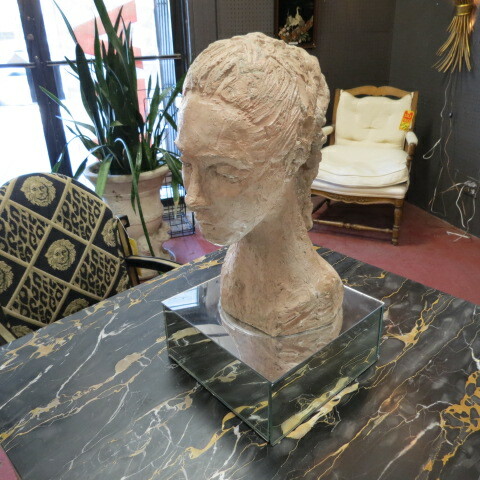 add a fresh look to your decor! very good condition. 11” Square, 21” Tall.